Its been a while since I’ve posted on here, but I’m at my wits end. I’ve been imaging with an Orion ED80T CF on an Atlas EQ-G for about a year and a half, first with a Canon T6 and, for about the last year, a ZWO ASI178MM-C with LRGB and Ha filters. I love the setup and have been really happy with the results I’ve gotten. And I routinely guide around 0.6” total RMS, so life has been really easy as far as tracking goes. However, over the last few months, I’ve been getting drift while imaging. Sometimes it’s really bad, other times it’s only noticeable when pixel peeping. My guide graph looks great, but there will be a consistent drift in either RA or DEC, or sometimes both. From reading other threads, this sounds like differential flexure between my imaging train and my 50mm guidescope that sits in the finder scope shoe. I’ve tried tightening everything down to eliminate it, including using pliers to tighten the thumb screw that secures the guidescope, tightening the screws that hold the shoe to the OTA, and putting masking tape around my field flattener to make sure it wasn’t slipping in the focuser. At least I’ve got the issue solved where the imaging train would slip out half a millimeter during the night, which has happened sometimes in the past. But nothing I’ve done has completely eliminated the drifting field!!!! It’s really frustrating. Usually it’s around half a pixel per minute in a consistent direction. At my image scale, that’s about .65” per minute. I called one of the major American telescope distributors to seek advice about maybe purchasing an off-axis guider. The guy I talked to thought it was ridiculous that an 80mm would need an OAG, and said he had never heard of such a thing. He urged me to keep trying other things...that there must be something loose. Is there anything else I can try? 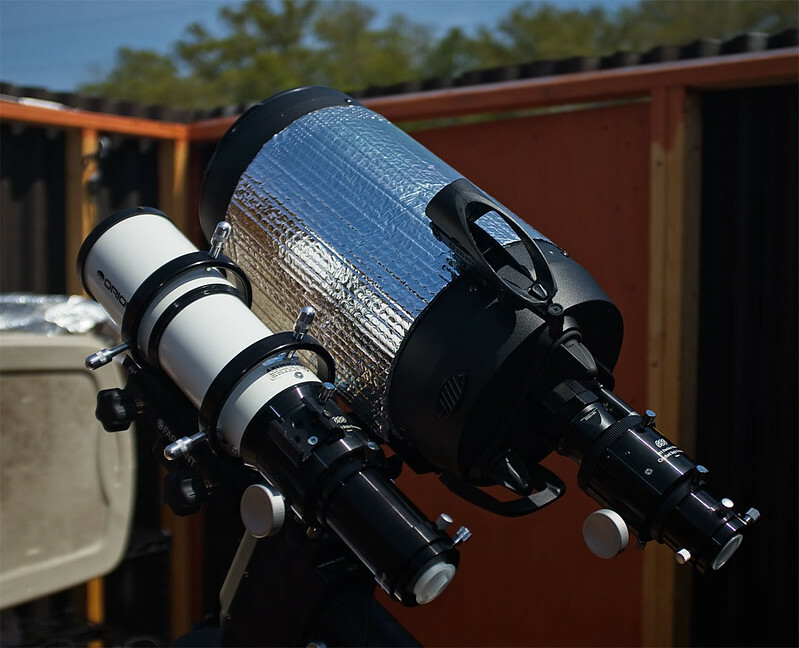 Do you know anyone that uses an OAG with an 80mm refractor? I really appreciate any ideas you might have. Edited by Thundermoon1994, 22 March 2019 - 11:50 PM. No, you don't need an OAG. A good guide graph and poor images is the hallmark of differential flexure. Using a finder shoe is asking for trouble, no matter how much you tighten it. That's a single point, you need 2 widely spaced ones. Some people use 3. Scroll down this page for examples of how to do it. Yes, it costs some money. The first setup is likely the cheapest, although it may involve some drilling. Whatever you need can be found here, there may be cheaper sources, but this is quality. I can't absolutely guarantee this will solve your problem, there may be something else wrong. But using a finder shoe is a bad idea, regardless. I think mounting the guide scope more securely per those examples will most likely solve this, and you want that arrangement in any event. Edited by bobzeq25, 23 March 2019 - 12:41 AM. You don't necessarily NEED an OAG. But it's by far the easiest solution to differential flexure. Why bother with trying to get a perfect mount for your guidescope, and spend what an OAG setup would cost? I moved to an OAG because even with my great mount (a Mach1) I was getting differential flexure. Whose fault? Who cares. After the OAG, the lost subs became ZERO. Not low, but zero. And yes, that was with an 80mm F/7.5 scope, and later I used the same OAG with my 115mm F/7 scope. Just be aware that you will need to get an OAG class camera. Minimum is ASI290MM-mini. Better is ASI174MM-mini (especially if you have a large prism). Pricier (but dated) alternatives are the Lodestar X2 and Ultrastar, both by Starlight Express. Note that any of those cameras plus an OAG will cost substantially more than fixing the guidescope mount. Some experienced imagers really like OAGs, think everyone should go that route. That's a drawback to a lot of advice on CN, people tend to think what they've decided to get is what everyone should get. I think in many cases (like an 80) it's a personal choice. I use an OAG on my big scope, and a guidescope on the other two. All those pictures I pointed you to show a variety of imagers, some quite experienced, happily using guidescopes without problems with differential flexure. This is just a choice, not right/wrong. Edited by bobzeq25, 23 March 2019 - 01:26 AM. Does read that the guide scope on the finder shoe is likely the area that needs attention. If it is one point or base then flex is possible. Changing to 2 pomts for the finder spread over 2 tube rings would be more stable.Not sure what the additional cost would be. But decent tube rings are never inexpensive and there will be additional items also. Work out all the requirements and cost it all up.  An OAG should owing to it's size remove flex, however you are making a more major replacement of items I would estimate and then is the learning curve of setting one up and operating it. Small hopefully but a component. Never sure which is actually best. There is not a lot of noise about the guiders and guiding, which makes me suspect that little final advantage either way. However I would swap from single shoe to twin tube rings for the mounting. And that as indicated means cost and if twin rings and attachments comes out comparible to an OAG then the decision is complicated. My approach would be if OAG is say 40-50% more in cost and in guaranteed better then I would go down the OAG line. Assumption being that the upgrade may as well be the bigger one. If you have a pair of rings - half my scopes came with dual rings - then I would try mounting the guide scope on the rings with 2 oints of contact and see if things improve. "Best" is a bit hazy as it might mean small compact, or greatest flexibility to adjust and even access. So the 2 different options are touted as "best". In imaging I suppose mono is "best", but the time involved and the final results that the majority of us will ever achieve could easily mean that OSC is "best". As others mentioned, you're using a guidescope in a findershoe. Think of it like this. It's a single foot attachment and it extends away from it's contact point, and on its neck is an extra weight (scope & camera), so there's something that weighs more sticking out away from the contact point. That's a huge lever (think fish on a fishing pole). So it's going to flex around and even the tiniest bit causes what you're experiencing. Next, consider that the camera and guidescope form another entity that if not balanced right will have a little moment arm of its own too and you can get some flex there as well. So you basically have two little fishing poles with two fish pulling in two directions, all sitting on a single point contact in a finder shoe. But you do not need an OAG to solve this. You simply need to mount your guidescope differently with 2+ contact points widely spaced apart. You can put a vixen style dovetail on top of your mounting rings on your scope to mount more gear such as alignment rings. The wider spaced they are the better. The Farpoints are great. I use them daily on my system with an 80mm scope as a finder to a 200mm scope. You can also get smaller ones from ADM if you need smaller ones (50~75mm). Here's my 50mm guidescope on some small 75mm ADM rings on a dovetail on top of my 80mm F6 APO. No problems with flexure. 10+ minute subs without trails. Here's my 80mm on some 90mm Farpoint rings and dovetail next to my C8 Edge. Holds great! The alternative is to of course get an OAG. They work. You may need to swap out cameras perhaps. You may need to rework some spacing to allow your filters and stuff to work correctly and still achieve focus. But it greatly simplifies things like this if it fits into your imaging train. They're not too costly. Conventional wisdom is to only use OAG when you get past 1,000mm+ focal lengths. But the reality is you can use them with shorter ones too. Really can't go wrong going this route too, especially if you plan on getting a larger, longer scope in the future to raise your imaging scale. As others have said, get a decent set of rings for the guide scope. My guide scope is mounted directly to the telescope rings. It is extremely stable and I get between .20-.30 Total RMS Error on night long imaging sessions. Never sure which is actually best. You've got it pretty much right. It's tradeoffs. Stelios properly points out that an OAG reliably eliminates differential flexure, and so is essential on some reflectors. 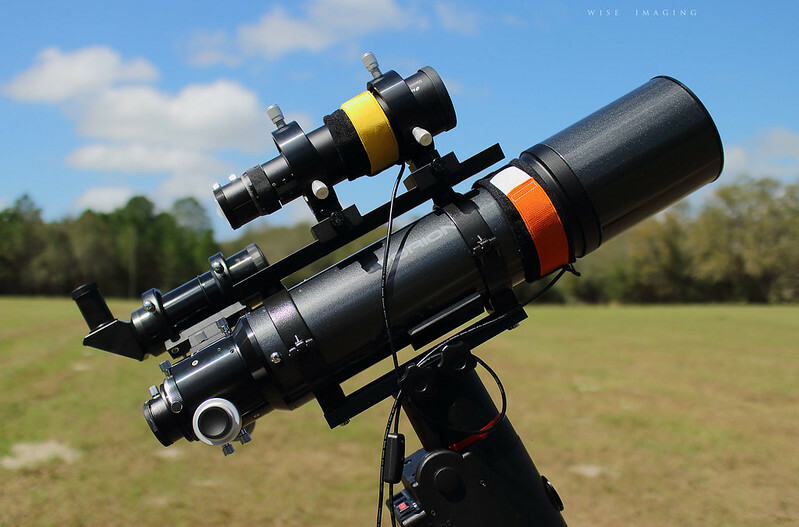 Guidescope makes it easier to find guidestars, although a more sensitive camera for the OAG can narrow the difference. Guidescope is easier to set up (so long as the connection is rigid), but setting up an OAG, for a specific optical train, is a one time deal. The time thing with mono is complicated. It takes more time to process the data, but, for the same signal to noise ratio, less total imaging time. The main drawback to mono plus filters is that it's expensive. A virtue is that you can do serious narrowband. On our club's scope, we found that the set screws that hold the focuser the the tube of the guide scope had loosened. So you need to check everything from the guide camera to the imaging camera for flex, not just the mount of the guide scope to the imaging scope. Since you say that your system once worked fine, something has changed. You just need to find what changed. BTW, since your are in Akron, you are not far from out club. Feel free to join us this Friday night (3/29) at the Wilderness Center in Wilmot, OH at 7:30 PM. I could. I was transitioning from a DSLR to cooled CMOS with filter wheel.